This is an tutorial to show you how to compile a wireless driver on cubian. Let's take 8812au for example, first install kernel-headers. 2 upgraded, 15 newly installed, 0 to remove and 69 not upgraded. Need to get 31.9 MB of archives. After this operation, 82.4 MB of additional disk space will be used. Selecting previously unselected package libgomp1:armhf. Selecting previously unselected package libmpfr4:armhf. Selecting previously unselected package libmpc2:armhf. Selecting previously unselected package binutils. Selecting previously unselected package gcc-4.6-base:armhf. Selecting previously unselected package cpp-4.6. Selecting previously unselected package cpp. Selecting previously unselected package gcc-4.6. Selecting previously unselected package gcc. Selecting previously unselected package libc-dev-bin. Selecting previously unselected package linux-libc-dev:armhf. Selecting previously unselected package linux-headers-3.4.79-sun4i. Selecting previously unselected package make. Selecting previously unselected package manpages-dev. 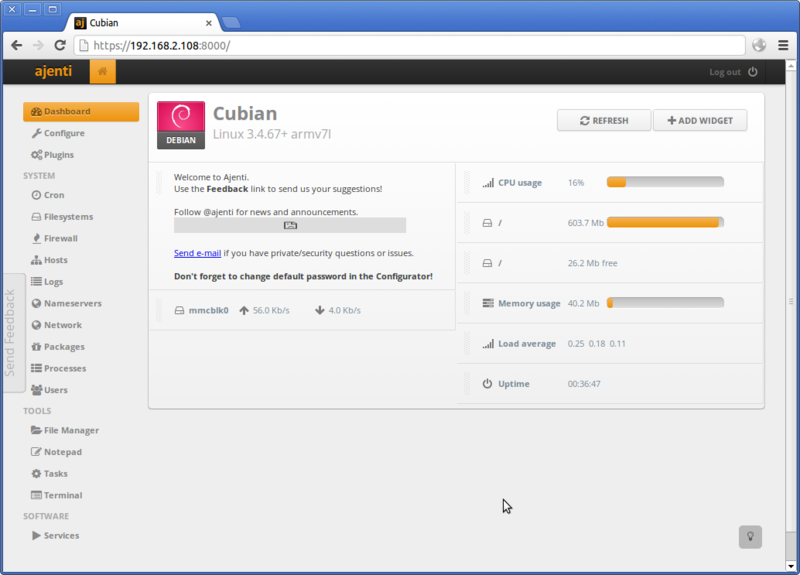 I'm pleased to announce a new version of Cubian is out. The version name is X1. It's highly recommended to upgrade to this version. It resolved all the known problems in the previous releases. The new version supports all cubieboards currently released by cubietech. HDMI and VGA image is separately packed for the sake of convience. Our wiki has a great tutorial on how to use VGA output. 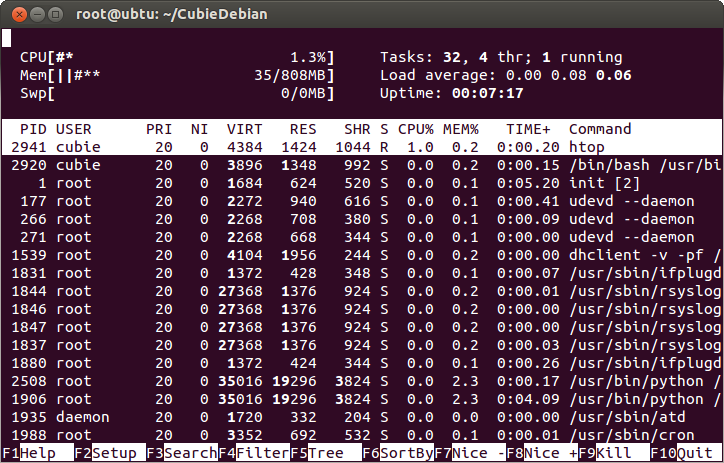 Cubian is dedicated to make Debian running on cubieboard easier, faster, safer. It has three types to suit your needs. Nano+headless text mode but without display support, no reserved memory. 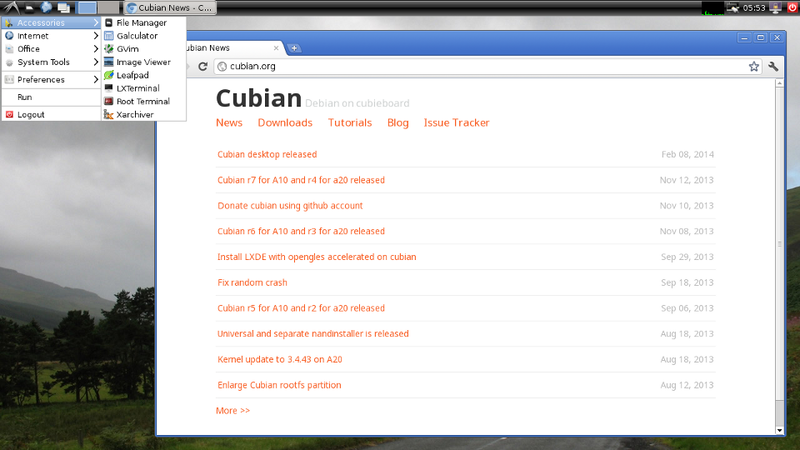 Please read Get started with Cubian if you are first on using Cubian. The rules still working if you aren't customize anything. Read Install Cubian if you don't know how to install. 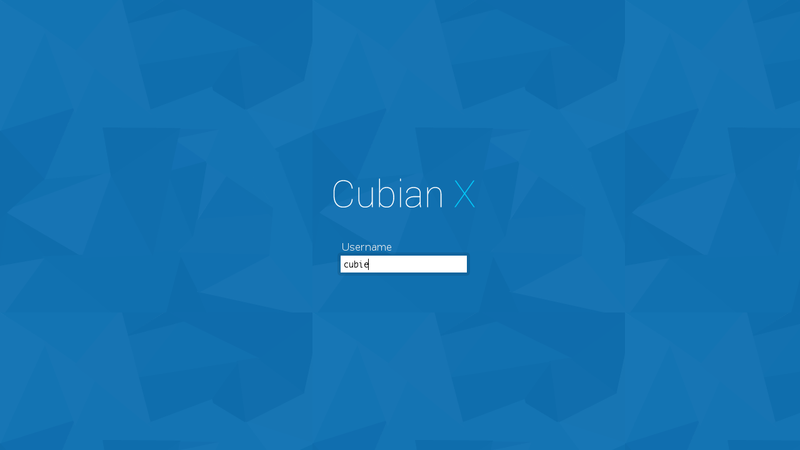 Cubian X1 has a configuration tool called cubian-config. It is adopted from raspi-config. It will run at first boot, let you choose your password, locales, timezone, keyboard layout and more. The login screen has changed it's style. The login manager still is SLiM. 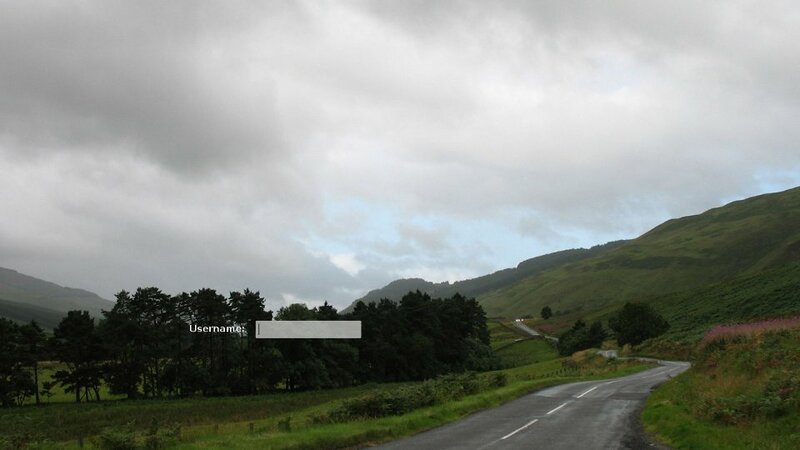 We use bittorrent to publish the new images to saving money on hosting charges. Kindly please help seeding at least 30 minutes after your download is complete to make others downloading faster. I aslo use my cubieboard as a seeder (with cubian x1 of course XD) at home working all days. It's a general problem is any OS, The problem is caused by a misconfiguration of the board. Cubieboard v1 OS (A10 Based) / Cubian desktop is released! Text mode is updated to r8. * Latest kernel 3.4.75 and bootloader(u-boot) supports GMAC and lots of new module are compiled. * Minimal LXDE with hardware accelerated. Thanks to ssvb's great project again. * Slim as default display manager with a custom theme. Believe me, it's super simple, beautiful and fast. * Chromium browser 16.0. Java applet is supported however adobe flash is NOT supported. * Gorgeous screensavers powered by xscreensaver. 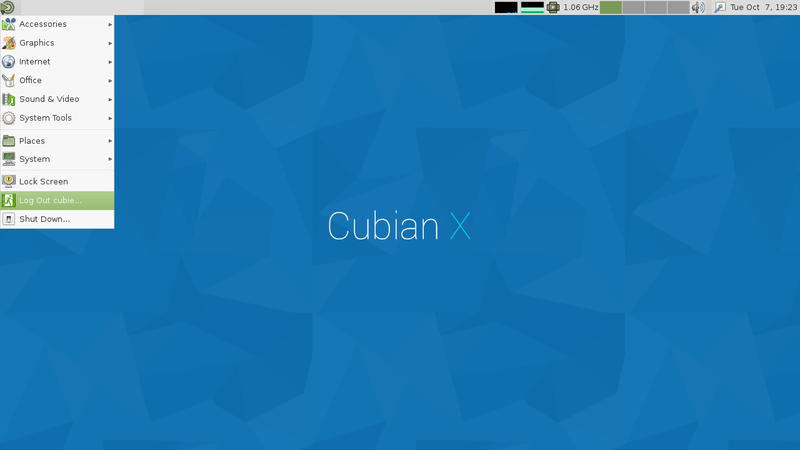 Cubieboard v2 OS (A20 Based) / Cubian desktop is released! Text mode is updated to r5.